Back in 1987 UK based hobby shop Games Workshop released Warhammer 40,000. Little did they know, this little miniatures game grew to become the most popular wargame of all time. All set in a grim dark universe where there is only war, genetically modified, hyper religious super soldiers designed by space Jesus, brutish green skinned Orks and a race of T-101’s who utilize the power of intergalactic Star Gods to harvest the universe to name a few. Throw in gothic architecture, blood, skulls and a couple genocides and you have a formula that was begging to be converted into a game. What they did was not just a cash grab hack job, but a unique take on a stagnating formula. 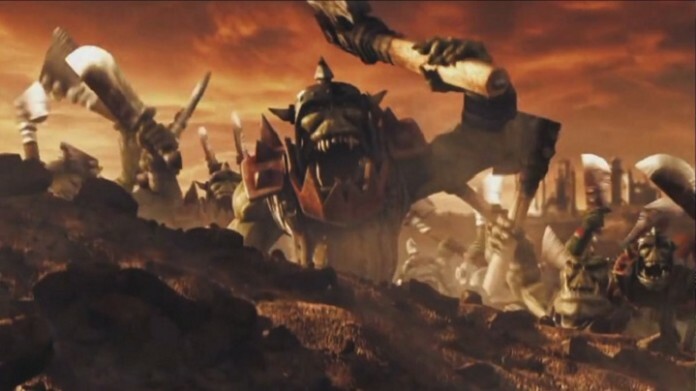 The most standout feature of Dawn of War was always its presentation. For a game released over a decade ago, the attention to detail was phenomenal. It effortlessly captured the look, and feel of the 40k universe, crafted all the iconic races and their units in full 3D. When I was 12, I remember zooming in and just admiring how awesome Space Marines looked, how brutal the combat felt and it really brought the miniature game I knew and loved to life in a way I never thought possible. The visuals have not aged too badly either thanks to the slightly comedic styling they used to iron out all that early 2000’s drabness. Then you had the music, my god the music. Nothing but the most epic of tracks would suffice for such an epic game, and they delivered. Warhammer 40k has a lot of rich backstory and lore, literally thousands of years of history can be read up on and whilst Dawn of War doesn’t really utilize the full extent of the material, it manages to hit enough key notes to keep you interested at the very least, and evoke that Games Workshop feel the rest of the game oozes. You play as the Blood Raven Chapter of the Space Marines, with the main character Gabriel Angelos (no joke, that is his name) at the helm. What first seems like a “routine” Ork WAAAGH! turns out to be a devious plot involving both the Eldar (an ancient race of space Elves) and the ruinous powers of Chaos (demon worshiping Space Marines) that may or may not include a world destroying demi god. All of this is done with gloriously over-the-top voice acting that just screams 40k. It has a serious tone, literally tackling satanic worship and genocide, yet makes it so light hearted and hammy that you cant help but be entertained. 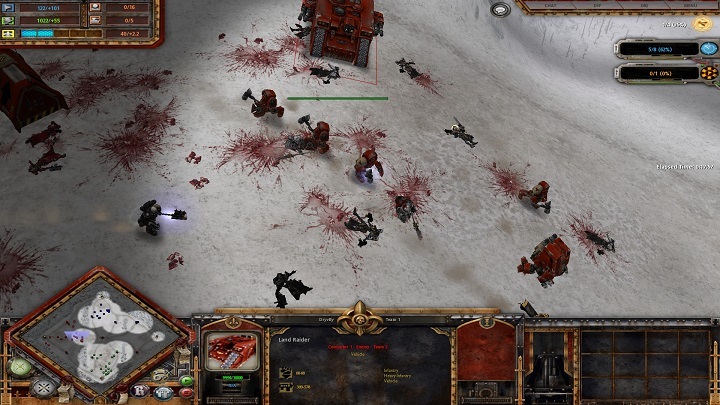 Where Dawn of War really shines though, like so many great games, is in its gameplay. Dawn of War took the base RTS formula and flat out updated it. Gone were the days of building single infantry units at a time, gone were the days of having a dude with a machine gun and a dude with a rocket. Dawn of War instead uses squads. Like in real life, a squad is almost entirely self contained and can be upgraded to include various special weapons such as plasma rifles or rocket launchers as well as add sergeants for moral. Dawn of Wars most recognisable addition however was its use of strategic points. Much like the tabletop game, the map was split into areas that could be captured and reinforced to obtain resources to build more powerful units. This focused the gameplay so battles would rage over key locations, making every battle seem important and worthwhile. Whilst these gameplay quirks might seem common nowadays, these were almost unheard of back in 2004, and would provide the foundation for Company of Heroes two years later. 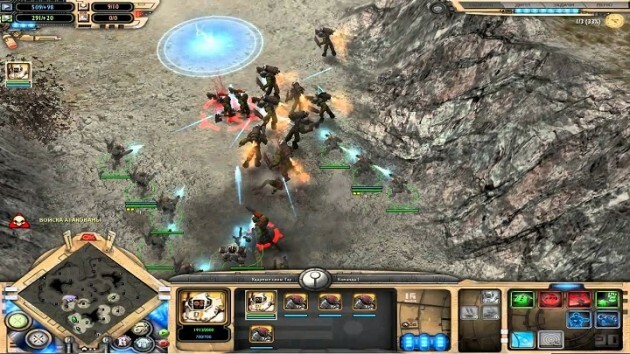 The game was critically acclaimed, and received 2 massively successful expansion packs adding more races and new campaigns. Dawn of War 2 came around in 2009 and built upon the originals formula, once again making ripples in the RTS genre…but that is another story for another time. Warhammer 40,000 Dawn of War is one of those rare occasions where a “licensed game” is not terrible. It fully embraces the dark, grimness of the universe whilst maintaining the ham Games Workshop is known for. This is a game I have poured hundreds of hours into, and still revisit from time to time to relive those fond memories of my youth. With its modern take on RTS gameplay, cheesy story and timeless art style, Dawn of War and all of its expansions (minus Soul Storm…) are absolutely worth the investment.